While Google Adsense is the best pay per click advertising network in the world, it might not perform well if the ad units are placed in wrong ad spaces. The ads should be implemented properly on the site to increase the click through rate which will eventually increase the overall earnings. Many publishers earn a very low amount of money due to incorrect ad placements and using uncommon ad units. By placing ads of correct size on right ad space one can multiply the earnings more than current earnings. I’m an Adsense publisher and I’ve tested different ad sizes & its placement many times to improve the earnings. 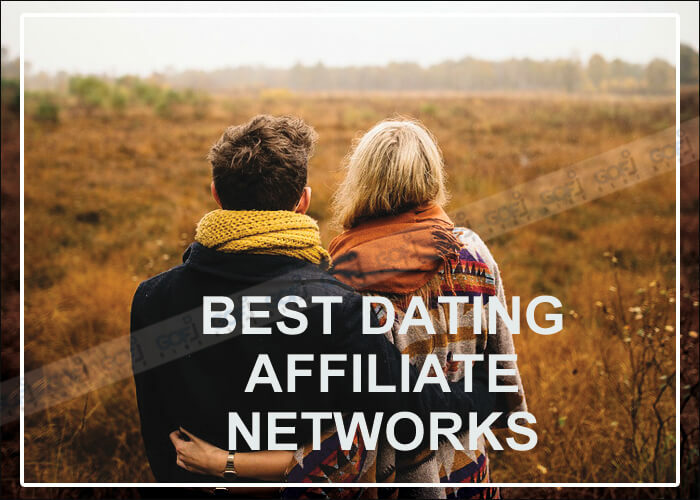 At last, I found some of the best ad spaces on my site(s) which increased my earnings up to 300% more than what I earned at the beginning with the same traffic. I will share my experience about Google Adsense ad size selection and ad placement which might help you to improve your Google Adsense earnings. I’ve few blogs and to say the truth same ad placements on those blogs never worked well. What I learned is each blog needed separate optimization according to the blog design, layout, and its niche. So, I advise you not to follow my Google Adsense optimization guidelines or other’s guide exactly as it is. You must do A/B testing to find the best performing ad spots in your site. Read this article only to get some idea about best ad placement. This article might or might not improve your Google Adsense earnings. Google Adsense have advised in their guide that publishers should make use of most successful ad units to improve the Adsense earnings and user experience of the blog. These are the few ad units which I found performing best on my blog(s). 728 x 90 leaderboard Adsense unit is one of the best performing ad units when it is placed in the right spot. This ad unit received low to average CTR based on the niche. But, the CPC was higher compared to other Adsense ad units. 300 x 250 rectangle ad units were equally good in the performance like the 728 x 90 ad units. These ad units received high CTR and CPC was good too. 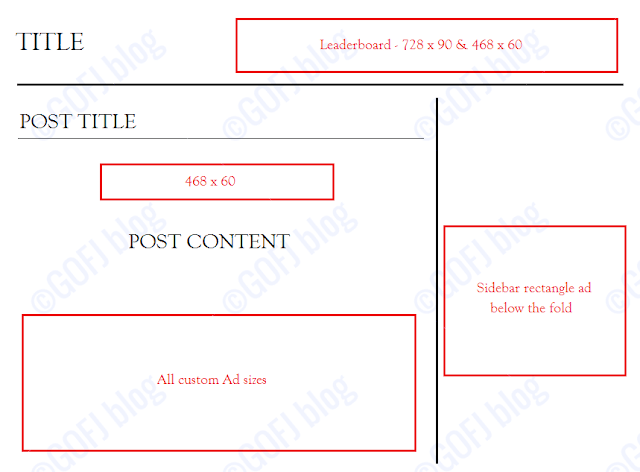 320 x 100 mobile ad unit placed above post title performed good compared to other ad units. CTR was low but CPC was really higher compared to other ad units placed on the mobile page. Few say placing text link ad units can affect user experience and earnings. What I found was few effectively placed link ad units performed well compared to regular banner ad units. Google Adsense have introduced a new policy regarding ads limit per page policy. Now the publishers can place as many ads they wish provided there should be enough content to match the number of ads. If you’re unclear about this policy this guide will help you – Adsense ads limit per page. Never place large ad units above the fold on mobile phone optimized pages. 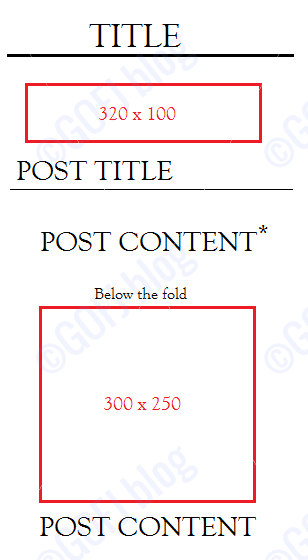 Placing large ad units such as 300 x 250 above the fold is considered as the policy violation. Previously, placing more than one large ad unit (ex. 300 x 600) on a page was considered as the policy violation. But now publishers are allowed to place more than one large Adsense ad unit. But placing more than one large unit will affect user experience and performance of the blog. CPC is the cost per click and CTR is click through rate, they both play the main role determining RPM. If any one of these gets low or high it will affect RPM. In simple, if a blog generates 2% CTR with an average CPC of $0.20, the RPM will be $4. At the same time, if it generates 4% CTR with an average CPC of $0.10, the RPM will be same $4. So, fluctuation in any one of these will reduce RPM. You must concentrate on increasing both CTR and CPC to increase the RPM. The main reason for low CPC is the niche of the blog. Other reasons for low CPC are using non-successful ad units, ad placements, less viewability, using too many ads on a page etc. The main reason for low CTR is poor ad placement & site layout. Other reasons for low CTR are using smaller ad units, less viewability, blog design etc. By properly analyzing the simple factors, one can increase CPC and CTR which will eventually increase RPM. You might like this – Publicityclerks – sell direct ads. Large horizontal ad units are one of the best performing Adsense ad units. Speaking about horizontal ad units, 728 x 90 is the best among them. You can make use of Responsive ad units that would display the best performing ads for the ad space. 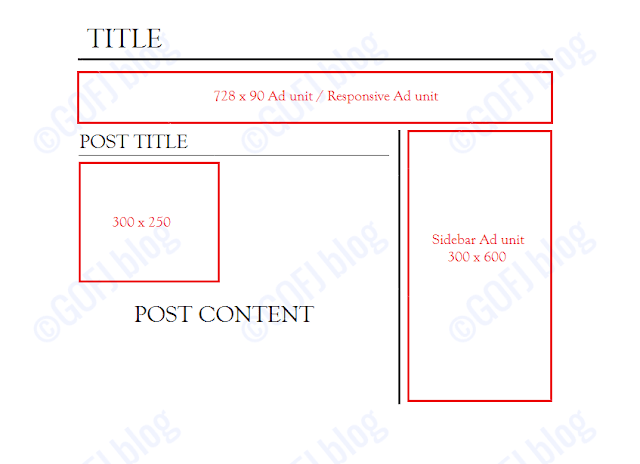 Based on the width of the blog the ads displayed will be 970 x 90 ad or 728 x 90 ad. While testing different ad units, I found that 728 x 90 leaderboard ad generated more cost per click than any other ad size(s). Though the CTR generated by 728 x 90 ad unit was somewhat less compared to rectangular ad units, it’s worth allotting a spot for 728 x 90 below the title as shown in the picture. 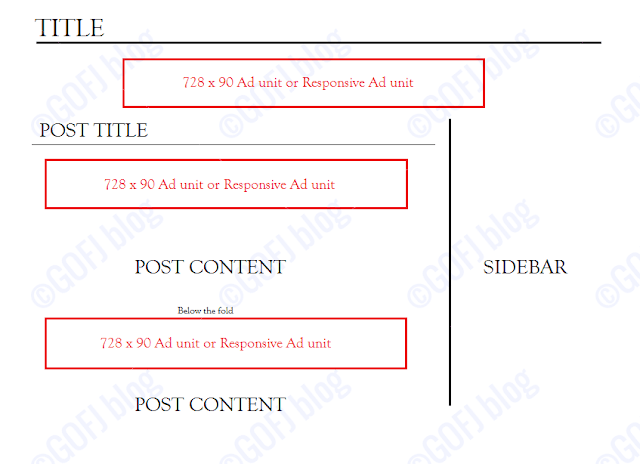 Overall placing a 728 x 90 / responsive ad unit below the header portion, placing a 728 x 90 ad unit below the post title (above the fold) and placing a 728 x 90 ad unit (should visible when the user scrolls first view screen) in between article will increase the RPM. You can replace the 2nd and 3rd ad units shown in the picture with rectangular ad units if the horizontal ad unit(s) does not perform well. Rectangle ads generated more CTR and the CPC was good as leaderboard horizontal ad unit. Advertisers love 300 x 250 & 728 x 90 ad sizes compared to other ad sizes so most of the advertisers never fail to add the creatives of these ad sizes in their campaign. So, when Google Adsense ad server delivers the ad, there will be more advertisements competing to display on your blog ad space. Placing 300 x 250 below the title, above the fold is the best ad placement. I found that this ad unit generated high CTR and CPC compared to any other ad units placed on the page. 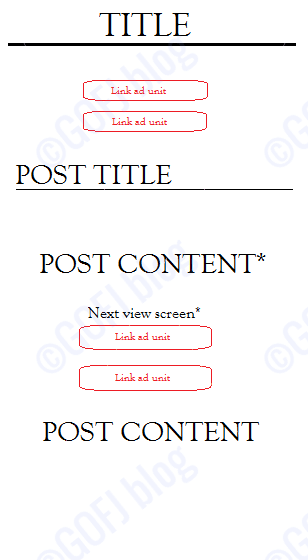 You can change the position of this ad unit to left or center by checking the performance of each position for few weeks. You can also try adding 2 x rectangle ads side by side below the title and make it permanent if they perform well. 336 x 280 is the best alternative to 300 x 250 but I found CPC of these ad sizes were low when I used them. Maybe it can perform well on your blog. The picture given above shows the effective Adsense ad placements if you wish to use large ad unit. 300 x 600 is one of the best large ad units to place on the sidebar. As this ad unit is large in size, the viewability percentage will be higher which will help to get higher CTR. While I used this ad unit on the sidebar, I noticed that the CPC of the 300 x 600 ads were lower compared to other ad units. Also, I hate placing Adsense ads on the sidebar because most of the time it will not be noticed by the reader if the content is very interesting. This ad placement helped me to maintain a neat blog but performance was less compared to the previous two ad placements. Maybe these ad placements might help you to increase the earnings. Try to test different ad units in this method. 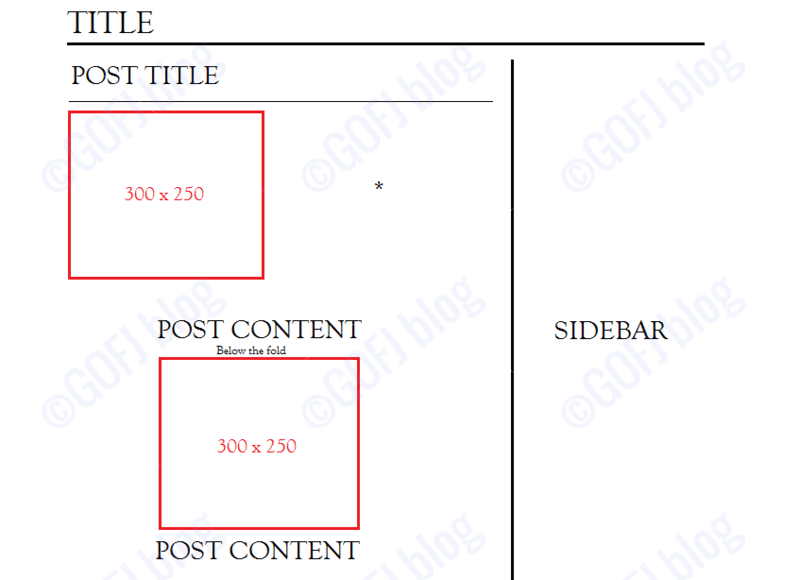 In the beginning of my blogging career, I’ve tried three layout blog design. I’ve changed to two layout blog design now from three layouts because it affected the user experience of the blog by reducing the width of the content area. 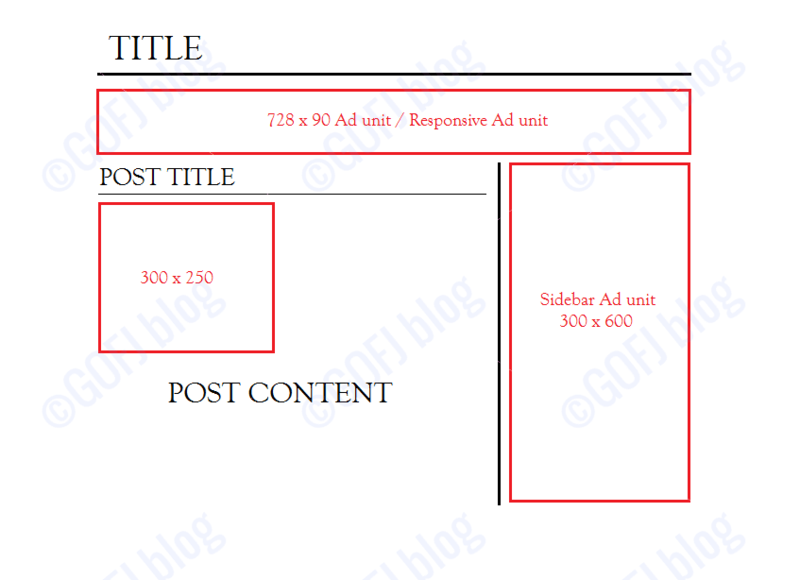 Placing 160 x 600 ad unit on the left sidebar will increase both CTR and CPC. You can alter other two or more ad units by testing their performance. I’ve tested many ad spaces in my blog to find the best performing spots. At that time it also helped me to find some of the worst ad spaces and ad sizes. The picture given above will give you an idea about worst ad sizes and worst ad placement. Placing leaderboard ad on right side of the title on the top generated very less CTR compared to placing it below the title. 468 x 60 is one of the worst ad sizes. The performance of this ad unit was very horrible. This ad unit might appear instead of 728 x 90 if you use responsive ad unit below the title when the content width is less. So, avoid using responsive ad unit below title if the width is less than 730 pixels. Placing smaller rectangle ads below the fold on the sidebar will be the worst idea. It will remain unnoticed by almost 80% of users so the chances of interaction will be less. 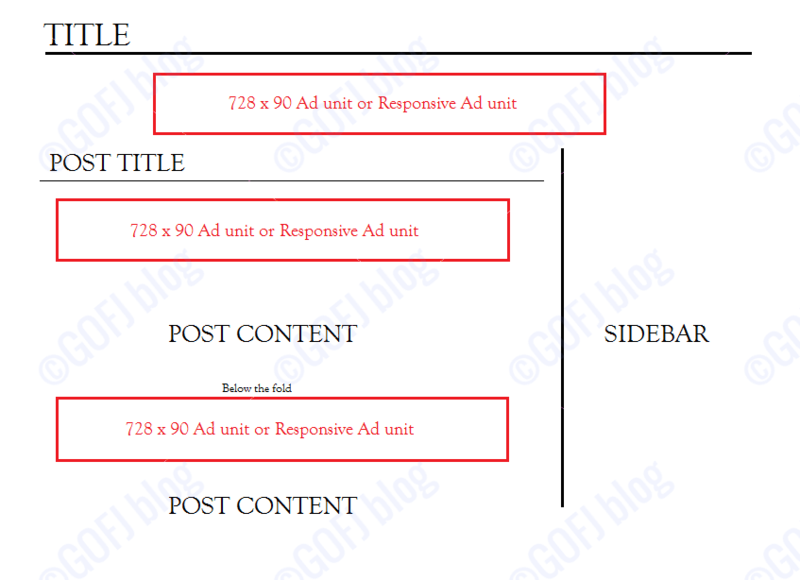 Do not use custom ad sizes on your blog. Most of the advertisers will not use uncommon ad sizes so the creatives will be very less. The CTR might be high, but the clicks will generate lower CPC for the larger custom ad sizes. You might have noticed some of the Adsense publishers are using custom ad sizes among which most of them are premium Adsense publishers. They will use custom ad sizes with the assistance of Special account managers who will optimize it for best performance. Try using custom ad sizes only if it performs well on your blog. I’ve read few say that Adsense text link ad unit(s) is a waste. But when I used text link ad units, I found it performed equally good when compared to regular content ad units. Usually, I use text link ad units only on mobile optimized pages and selected normal pages. Text link units performed well when it is placed in between the posts below the fold. Placing the text link unit above the fold on desktop pages will make the blog look spammy, performance was low when I tested and also it affected user experience. The few cons I found while using Google Adsense text ad units are it increased the bounce rate 3% – 5% and decreased time on site by 10% – 20%. 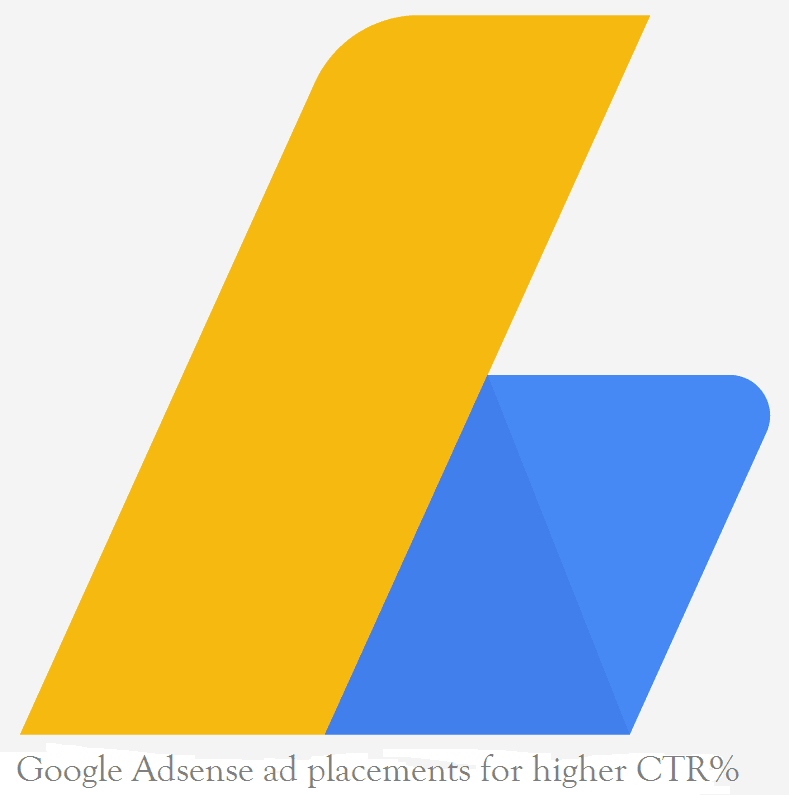 The good things I’ve noticed after using Adsense link unit are it increased the overall CTR up to 1% and they performed best on mobile optimized pages above the fold. Text ad units will not do good for few niches like blogging, SEO, webmaster guides and few more. So, if you’re running a blog niches other than these, you can try Adsense link units which will increase overall CTR and RPM. Many publishers suffer the loss of earnings because their mobile traffic does not do well. I found that placing good performing ad sizes on the right spot helped me to increase the earnings. 320 x 100 mobile leaderboard ad unit is similar to 728 x 90 and performed exactly the same. I found that the CPC was really high compared to other ad units placed on the page and as usual the CTR was low. 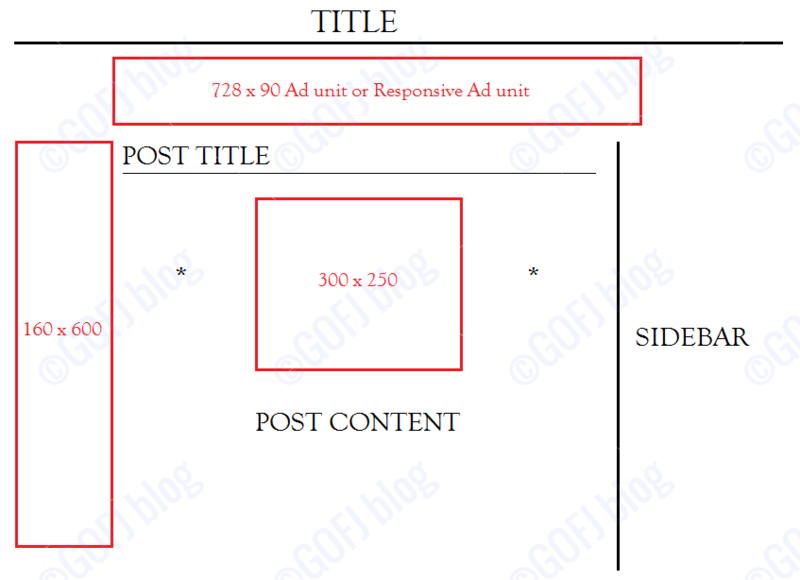 Placing 320 x 100 ad unit below the title of the blog / above the title of the article will help you to gradually increase the earnings. The problem is these ad units will not perform well for few niches. You must test if it performs well in your blog. Placing 300 x 250 below the fold helped me to generate high RPM on mobile pages. Placing 300 x 250 or similar ad sizes above the fold is considered as a policy violation. I used text link units on mobile pages by replacing the banner ad units. The performance of text link unit below the post title was more compared to 300 x 250 ad unit. Both CPC and CTR have increased when I replaced 300 x 250 ad unit with text link ad unit. Mobile ad unit performance is mostly unpredictable. Test the performance by using different ad units on specified ad spaces. These are the best-performing ad placements that increased my earnings up to 300% per day. As I’ve said before, same ad placements will not do well on all blogs. You must test your website performance by placing ad units in different ad spaces and changing different ad sizes to increase CTR. CPC will not be same for all the niches. Do not place too many ads on a page. When Adsense changed the ad limit per page policy, I’ve placed more than 4 ad units for a week to test if they increased RPM. But, the earnings were the same as before and it reduced user experience of the site. Multiline text link units like 200 x 90 performed better than one line text link unit like 728 x 15. Do not place Google Adsense text link ad units above the fold on desktop pages if you want your blog to look good. Try to avoid smaller ad sizes and ad sizes that are not commonly. Use best-performing ad sizes such as 728 x 90 and 300 x 250. You might also like – Infolinks with Adsense. Share your experience about Google Adsense ad placements in the comment section to help each other.